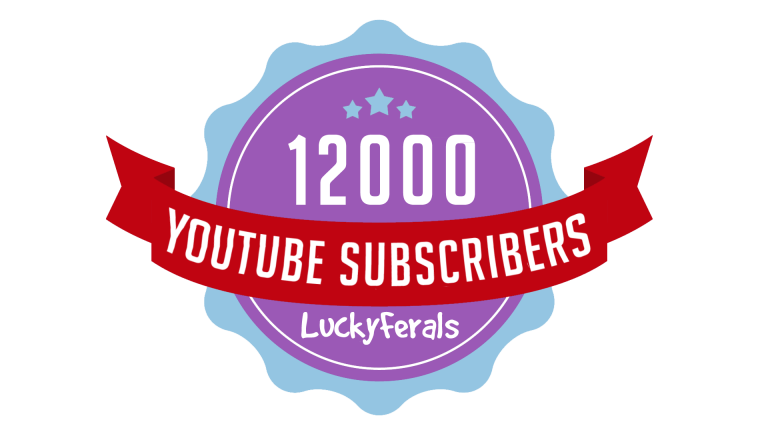 The Lucky Ferals has just reached the 12,000 YouTube Subscribers Milestone! The cats and I would like to extend a warm welcome to all of the new subscribers. Thank you for subscribing. We hope you enjoy the videos and find them helpful. Please join the community by leaving comments on the videos that you watch and participating in the live streams and video premieres. One of the ways that we thank subscribers is via giveaways so be sure to look for more of them coming soon and be sure to enter to win great fun prizes!